Lamb & Lion Ministries was founded in 1980 as a non-denominational, independent ministry. The Ministry does not seek to convert people to any particular church. Rather, it seeks to lift up Jesus and draw people to Him as Lord and Savior. The Ministry was established for the purpose of proclaiming the soon return of Jesus. We do not believe it is possible to know the date when Jesus will return. But we do believe it is possible to know the season of the Lord’s return, and it is our conviction that we are living in that season. We believe the Church, as expressed through the local congregation, is the basic unit of God’s plan for the proclamation of the Gospel and the discipling of believers. Lamb & Lion Ministries exists to serve the Church in its effort to win souls for Christ and to disciple those who accept the Lord. We believe in a literal interpretation of the Creation story as recorded in Genesis 1-3. We believe in the deity of Jesus, in His virgin birth, in His sinless life, in His miracles, and in our redemption through His shed blood. We believe in Jesus’ bodily resurrection, in His ascension to the right hand of the Father, and in His imminent, personal return in the Rapture. We believe that regeneration by the Holy Spirit is absolutely essential for the salvation of lost and sinful men. We believe in the resurrection of both the saved and the lost, the saved unto the resurrection of life, and the lost unto the resurrection of damnation. We believe Jesus will return to reign over this earth from Jerusalem for a thousand years, bringing peace, righteousness and justice. When I think of God’s faithfulness, I am always reminded of a powerful personal testimony I heard years ago by Mr. James Watt who was serving at the time as President Ronald Reagan’s Secretary of the Interior. Mr. Watt began his testimony by telling about how he had grown up attending both Baptist and Methodist churches. He said he never realized how liberal the churches were until he had a personal encounter with the Lord at a Full Gospel Business Men’s meeting in Washington, D.C.
“I would never have accepted the invitation to attend the meeting if I’d had the foggiest idea of what it was all about,” Watt declared. He had gone to church for 40 years, and he had never heard the term, “Full Gospel.” Nor had he ever experienced an altar call. The churches he had attended were not evangelistic, and they were highly liturgical in nature. Needless to say, the Full Gospel Business Men’s meeting came as quite a shock. First there was a lot of “riotous worship,” and then there was some “passionate preaching.” Watt felt very uncomfortable. The feeling of uneasiness began to intensify as the speaker ended his presentation. “Do you have a personal relationship with Jesus?” the man asked. The question grabbed Watt’s attention, mainly because he had no idea what the man was talking about. There was the question again. Watt had never heard anyone talk that way. As he wrestled with the question, the man began to explain that he was going to offer an altar call. Watt was astonished. It was almost as if this fellow could read his mind. Watt was really getting uncomfortable. He began looking around for the exit. “Some of you are church officers and you tithe, but you have never met Jesus!” the speaker declared. The words seemed to be spoken with thunder. That was it. Watt could resist no longer. He went forward. The speaker prayed for him, and that evening, after 40 years of church attendance, James Watt met Jesus and accepted Him as his Lord and Savior. The first thing Watt noticed spiritually in the days that followed was the deadness of his home church. There was no joy or enthusiasm in the worship. Watt’s soul was suddenly yearning to worship. So, he began to sneak around on Sunday evenings, trying to find a church where people really gave themselves to the Lord in worship. He found one. It was Pentecostal. It was not the kind of refined church that he had always attended. He was afraid of being recognized, but he continued attending because the worship ministered to his spirit. He soon discovered that the church had a special service on Friday evenings where people were given an opportunity to witness their experiences with God. He thrilled over the stories he heard, and before long, he decided to get openly involved. He just couldn’t contain himself any longer. He simply had to share what God was doing in his life. The congregation broke out in thunderous applause, and Watt returned to his seat triumphantly. Then, Mrs. Johnson went forward. “I just want to say that I accepted Jesus as my Lord and Savior 20 years ago, and He has kept me for 20 years.” That was it. Nothing spectacular. Nothing to shout about. Watt felt sorry for the lady. “Surely she can come up with something better than that,” he thought. The next week, Watt arrived biting at the bit to share his latest experience with God. Watt couldn’t believe it. Every week this woman gave the same dull, monotonous, uninspiring testimony. And so it continued week after week. At that point in his testimony, Watt stopped. Tears welled up in his eyes, and he began to choke for words. Finally, after he had composed himself, he spoke the words that touched my heart — words I shall never forget. James Watt had discovered that Mrs. Johnson had a testimony after all. I have made that discovery as well. Day after day, week after week, month after month, and year after year, God has faithfully provided us with two things: opportunities to proclaim our message of the Lord’s soon return, and the resources needed to fulfill those opportunities. He has kept us, and He has kept us well. I can remember when I did not have enough money to mail out a newsletter to only a couple of hundred people. In 2000 our income topped one million dollars for the first time. I can remember when the entire ministry was in one bedroom of a small duplex. When I could cram nothing else into that room, and I decided to head down the hallway to take over the master bedroom, my wife said, “That’s it. You’re out of here!” Today we have a magnificent facility on five acres of land, and it is all paid for. I can remember when I recorded radio programs on a cheap recorder I bought at Radio Shack. I had no mixing board because I couldn’t afford one. The programs were delivered to the station in Dallas without a musical opening or closing. The station was supposed to supply those. Sometimes that important need was overlooked. Today, we are blessed with outstanding digital equipment. I can remember when I was the only staff member. I had to do everything — type letters, make phone calls, record donations, send out receipts, duplicate tapes, and keep the books. My wife, who is a first grade teacher, helped when she could. Today, I am blessed with a staff of over ten people who are dedicated to serving God. All of them love the Lord. All have been called by the Lord. I have been relieved of doing all the things that for years distracted me from my fundamental tasks of study, writing, recording, and preaching. I can clearly remember the pre-computer days when all our newsletters were addressed by hand from a file of index cards. Letters were typed on a manual typewriter. Printed items for distribution were run off on a duplicator machine that would print no more than a hundred copies before the purple ink faded. Today we are blessed with a network of computers. With them we can easily manage our mailing list, and we can perform desktop publishing (without getting our hands purple from the ink!). I can well remember the terrible “summer slumps” that plagued us during the first seven years of the ministry. Each year, during June, July and August, we seemed to be forgotten by everyone except the Lord. We would pray earnestly for a good December to make up the gap. The Lord always provided, but we went right down to the wire on several occasions — to the last day of the year! Today the summer slumps have evened out due to our Prophecy Partner Program that now includes over 2,500 faithful supporters. And, praise God, we ended yet another year in a row with all bills paid in full. I can painfully remember many times when I was not faithful to the Lord, when I was not a good steward of my time and resources, when I blew opportunities and got in the way of what God was trying to accomplish. But the Lord has been faithful when I was faithless. Thank you, Lord, for your faithfulness! 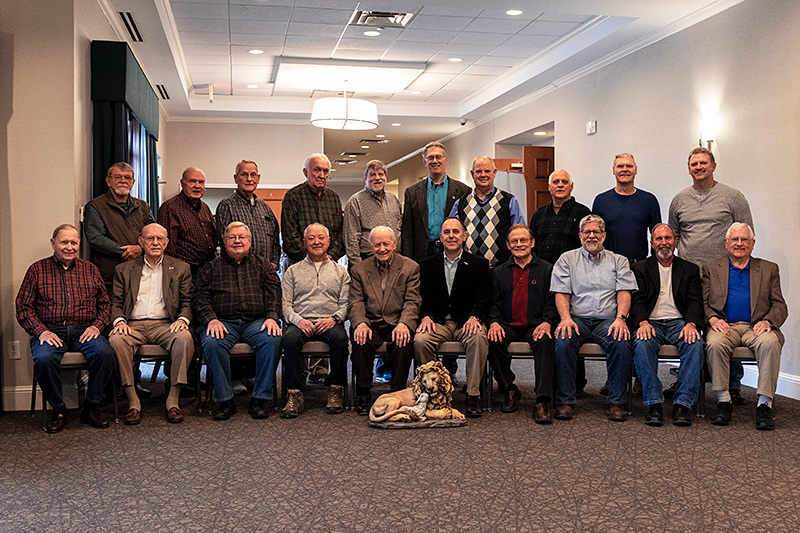 The Ministry is governed by a Board of twenty-two Trustees who come from a variety of Christian fellowships. The Trustees establish all the policies of the Ministry, and meet regularly to review the Ministry’s operations. Lamb & Lion Ministries is a faith ministry. We do not charge fees for our services. Rather, when we conduct a meeting, seminar, or conference, we request that the host group take up an offering for the ministry. We believe that God knows our needs and that He will provide them. Our founder and director, Dr. David Reagan is on a salary that is determined by the ministry’s Board of Trustees, and that salary is covered by their donations to the ministry. The ministry believes in operating debt free. Accordingly, the ministry has ended every year of its operations since its founding in 1980 with all its bills paid in full. All the ministry’s land, buildings and equipment are paid for in full. Lamb & Lion Ministries is a member in good standing with the Evangelical Council for Financial Accountability. This means that we subscribe to and practice the highest standards of financial accountability. View our profile! Charity Navigator is an agency that monitors the financial operations of non-profit organizations and evaluates their overall financial efficiency. 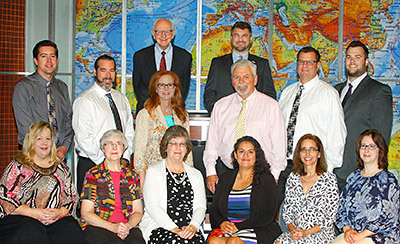 Lamb & Lion Ministries has earned its fourteenth consecutive Charity Navigator 4-star rating. Receiving four out of a possible four stars indicates that our organization adheres to sector best practices and executes its mission in a financially efficient way. Attaining a 4-star rating verifies that Lamb & Lion Ministries exceeds industry standards and outperforms most charities in our area of work. Less than 1% of the charities evaluated have received at least 14 consecutive 4-star evaluations, indicating that Lamb & Lion Ministries outperforms most other charities in America. This exceptional designation from Charity Navigator sets Lamb & Lion Ministries apart from its peers and demonstrates to the public our trustworthiness. Lamb & Lion Ministries produces a monthly financial statement that is available to anyone on request. The ministry also has an outside accounting firm to conduct an annual audit of its books. Copies of the annual audit and Form 990 for the past year are available below. The Ministry proclaims its message in a variety of ways. One of the most significant is through its weekly television program called Christ in Prophecy. This program is broadcast nationally over many networks such as DayStar, CTN, GOD TV and The Word Network. The television program provides commentary on national and international events from a Biblical perspective, showing that many of these events are signs of the times pointing to the soon return of Jesus. The Ministry conducts meetings and seminars all over the country in all kinds of churches. The Ministry’s seminars focus on Bible prophecy. The meetings cover either prophecy or spiritual renewal or a combination of the two. Other forms of outreach include resources such as topical teaching DVDs, CDs, MP3s, books, group study materials, a bi-monthly magazine called the Lamplighter, and the periodic Bible Prophecy Insights magazines and Bible Prophecy Insights videos. Another form of outreach consists of pilgrimages to Israel which are conducted a few times a year by the ministry for educational and spiritual purposes. Broadcast 52 weeks of our TV program, “Christ in Prophecy”, on ten national networks, 17 regional stations and eight websites. Ended the year with the broadcast of television program number 851. Broadcast via Daystar satellites to almost every nation in the world. Added 5 regional stations in Waco, Colorado Springs, Nashville, Pittsburgh and Knoxville. Produced 27 new “Christ in Prophecy” TV programs and revised 4 others. Produced 5 new video albums, and reproduced and distributed thousands of DVD video programs. Produced six new Inbox videos. Experienced main website traffic of 185,000+ unique visitors downloading 750,000+ pages per month. 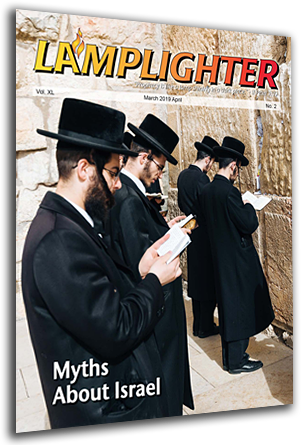 Sent out 27 e-newsletters to 80,000+ subscribers, sharing biblical messages and the electronic Lamplighter magazine. Streamed our annual Bible conference to nearly 13,000 live viewers (66,000 total viewers). 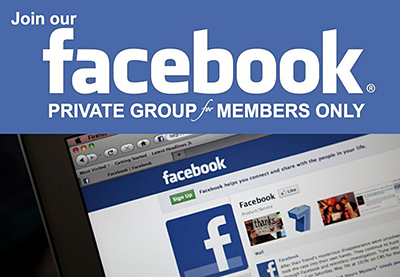 Ministered to 26,000+ Facebook group and page members and 11,700+ Twitter fans. Answered thousands of spiritual questions submitted by email and discussion forums. Streamed over 370 different “Christ in Prophecy” TV programs. Blogged at christinprophecyblog.org posting 159 new articles. 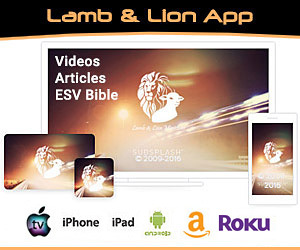 Exceeded 62,000 downloads of the Lamb & Lion App. 16 Weekend conferences at churches. Participated in 68 radio interviews and TV programs. Published a Holy Land calendar for 2019. Continued publishing our books as e-books. Continued publishing many of our materials in Spanish. Continued publishing a version of our magazine in India. Published the book, The Basics of Bible Prophecy. Provided two chapters for the book, Deceivers. 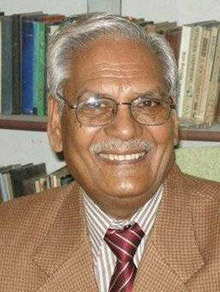 Published five books in Pakistan and India in native languages. Updated and reprinted five of our books. 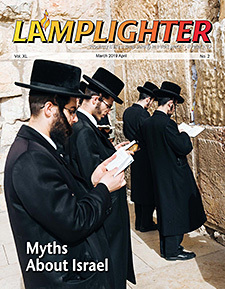 Produced 6 issues of the Ministry’s magazine, The Lamplighter. Increased circulation of our magazine to 85,000 (80,000 digital and 5,000 printed). Supplied $54,500 for relief aid to Nigerian Christian refugees who are fleeing from Muslim terrorists. Provided regular monthly financial support to 22 missions — 7 domestic and 15 foreign. Donated a total of $340,000 in cash and services to missions. Provided financial assistance to several ministries in Israel. Conducted our annual Bible conference with 850 attendees. Conducted two regional Bible prophecy conferences in San Jacinto, CA and Houston, TX. Provided displays at two national Christian conferences. Received 24,924 gifts from 5,290 donors. Ended the year with 2,858 Prophecy Partners. 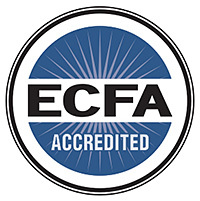 Received re-certification as a member of the Evangelical Council for Financial Accountability. Received a four star rating (the highest possible) from Charity Navigator for the 14th year in a row. Ended the calendar year with all bills paid in full for the 38th year in a row. Over the years the Lord has opened up many doors of opportunity for the Ministry to proclaim its message in foreign countries. Prophecy conferences and evangelistic crusades have been conducted in South Africa, Poland, Beloruss, the Ukraine, the Czech Republic, Hungary, Austria, Russia, England, India, the Philippines, Israel, Mexico and China. Bibles and all types of study materials have been sent to churches and missions in countries all over the world. The Ministry’s books about Bible prophecy have been translated and published in dozens of languages. Particular attention has been given to aiding the Jewish refugees that God is regathering back to the land of Israel from the four corners of the earth. The Ministry has raised hundreds of thousands of dollars for the assistance of the refugees. The ministry has also been heavily involved in recent years in supplying refugee aid for Christians in Nigeria who are victims of Muslim terrorism. Listed below are the ministries that we provide support to on a regular monthly basis. 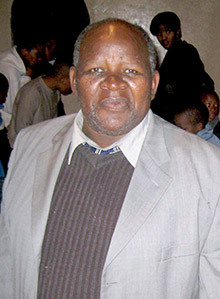 Abraham Louw is the pastor of a church in Kimberly, South Africa. We have been sending support to him for more than 30 years and have helped him with a number of projects, including the construction of a new church building. He is a humble man of God who ministers in a poverty stricken, high crime area that has been adversely affected by the closing of the famous Kimberly diamond mines. Pastor Louw is a faithful preacher and teacher of God’s Word and Bible prophecy. Marko Kiroglu is the founder of a ministry called “Countdown to Christ.” It is headquartered in the city of Cape Town in the Republic of South Africa. Marko was born in Turkey and raised as a Muslim. He became a believer in Jesus in 2001, and since 2008 he has been residing in South Africa where he lives with his wife and three children. 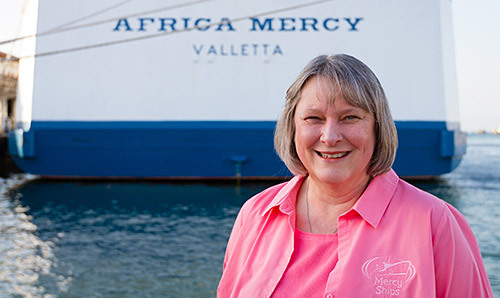 Becky Bynum is a long time staff member at Mercy Ships in Lindale, Texas. Beck is the daughter of one of the founding trustees of Lamb & Lion Ministries. She is a nurse who has served Mercy Ships in a variety of capacities over the years, but today she is one of the ministry’s chief purchasing agents in charge of obtaining all kinds of medical supplies and equipment either free of charge or at minimum cost. Mercy Ships supplies free medical care to the people of Africa. Standfast Oyinna in Northeast Nigeria is a man of God who exemplifies his first name. He has stood fast for several years in the midst of terrorist attacks by Boko Haram, despite the fact that his village has been burned to the ground twice. Lamb & Lion has had a relationship with him and his ministry for over 25 years. In recent years we have provided over $100,000 in relief aid to help him care for thousands of Christian refugees. Paul Liu heads up a ministry called The Ark Project. It is headquartered in Plano, Texas. 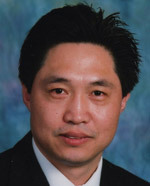 Paul is a native of mainland China who came to the United States to get his seminary education. He has since become an American citizen. He ministers ten months each year throughout mainland China, working with both the approved church and the underground church. 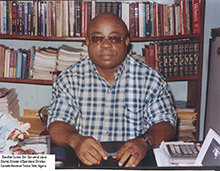 He specializes in the training of pastors and seminary professors. He has translated and published Dr. Reagan’s book about Revelation, called Wrath & Glory. 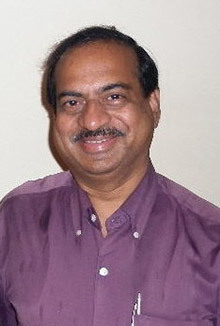 John Ishmael heads up a ministry called Revival Literature Fellowship, located in Bangalore, India. This ministry, which was founded more than 40 years ago by John’s father, specializes in translating and publishing Bible study materials in the main languages of India. Dr. Reagan’s articles and some of his books have been published by this ministry in several different languages. The ministry also publishes an abbreviated Indian edition of Lamb & Lion’s Lamplighter magazine. The ministry conducts Bible prophecy conferences all over India for pastors and church leaders. The ministry also provides benevolent aid to some of the nation’s lowest caste members. Nazir Gill is a native of Pakistan, and in 2015 he celebrated the 50th anniversary of his ministry as a Christian evangelist. He is an amazing man who boldly shares the Gospel in a land that is extremely hostile to Christianity. He has a particular zeal for God’s Prophetic Word, and he constantly conducts Bible prophecy conferences. He has translated and published many of Dr. Reagan’s book in the varied languages of South Central Asia. Remegio Blanco is a pastor and evangelist located in Pangasinan Province in the Philippines, an area located northwest of Manila. He has sponsored several Bible prophecy conferences that have been conducted by Lamb & Lion evangelists. 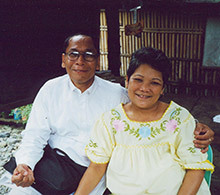 In 2001, Lamb & Lion’s supporters provided sufficient funds to construct a concrete block home for the pastor and his wife, who up to that time had been living in a bamboo hut. Today, Pastor Blanco pastors a church, operates an orphan’s home, conducts evangelistic campaigns and organizes Bible prophecy conferences. Carmen Samaniego heads up a remarkable ministry called Hands of Luke that is located in Juarez, Mexico, across the border from El Paso, Texas. 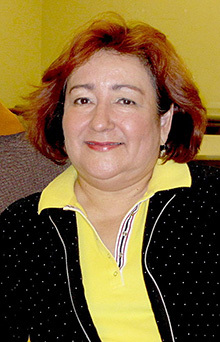 The ministry was founded in 1988 by her husband, Dr. Marco Samaniego, who was called home to be with the Lord in 2016. He was a man with a great heart of compassion for the poor, the suffering and the spiritually lost. His wife carries on this ministry today, and it continues with a widespread outreach that includes a large orphanage, a seminary, three churches, a variety of medical services, and a daily feeding program for children. Each year the ministry feeds 20,000 people at Thanksgiving and shares the Gospel with them. And each year the ministry provides a festival of food and gifts for 5,000 children at Christmas, including a presentation of the Gospel. Donald Dolmus is the founder and director of a ministry in Nicaragua called En Defensa de la Fe (In Defense of the Faith). It is a Bible prophecy teaching and preaching ministry whose purpose is to reach out to the Spanish speaking world with the message of the Lord’s soon return. 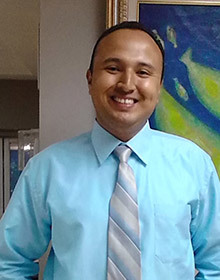 Since 2009 Donald has been a part-time Lamb & Lion staff member who focuses his time on translating articles into Spanish that have been written by Dr. Reagan or Nathan Jones. These articles are placed on his website, making it possible for our ministry to reach a whole new culture and language base. Donald often spends his weekends conducting Bible prophecy conferences all over the nation of Nicaragua. You can find his website at: www.endefensadelafe.org. 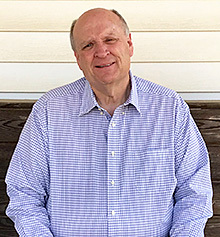 Phil Lawrence is an ordained Southern Baptist preacher who has spent his life ministering among Native American Indians in South Dakota and Oklahoma. He is also a very gifted musician who uses his musical talents to glorify the Lord. Phil is actively involved in the work of The Fellowship of Native American Christians. 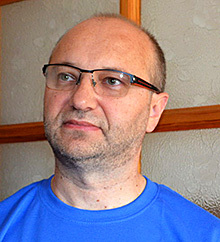 Jan Barczuk was born and raised in Poland. He came to the United States in 1985 to study music and ended up at Lincoln Christian University in Lincoln, Illinois. After graduation, he was ordained into the Christian ministry and began serving as worship minister for Central Christian Church in Rockford, Illinois. After ten years, he decided the Lord was calling him into fulltime mission work. At that point he became associated with two organizations — Pioneer Bible Translators and Send Me Ministry. He works with Pioneer to recruit and organize translations teams to produce Bible translations in Europe and Eurasia. His work with Send Me Ministry consists of reaching out with the Gospel to the Jewish people of Europe and Israel. 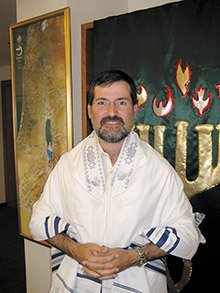 Much of his work with the Jews is done in coordination with his brother, Kazik, who founded the first Messianic congregation in Poland back in the 1980s. And wherever he goes, he blesses people with his music. Kenneth Humphries heads up a ministry in Northern Ireland called Treasured Truth. This is a Bible prophecy ministry that was established in 2003. Although it is based in Northern Ireland, it reaches out to churches throughout Ireland, Great Britain and the Continent of Europe, including the former Communist nations of Eastern Europe. Ken Humphries spent many years as a pastor before stepping out in faith to form his current ministry that is dedicated to proclaiming the soon return of Jesus. Ken is a passionate preacher and gifted teacher who focuses on the fundamentals of Bible prophecy. John M. Neese heads up a ministry called Strategic Angel Care (SAC). As a ministry in the former Soviet Union, Strategic Angel Care supports orphans and encourages Russian churches to do the same. Their desire is to let every orphan experience God’s unfailing love by creating environments that build lasting relationships so Christ can be shared with orphans and hurting children. Avi Mizrachi is the pastor of a Messianic Jewish congregation in the heart of Tel Aviv called Adonai Roi (The Lord is My Shepherd). He also heads up a ministry called Dugit, which in Hebrew means “little fishing boat,” signifying that he and his staff are “fishers of men” who aim to share the good news of Yeshua with the Israeli people. Avi is a native of Israel, and he has been gifted by God as a very dynamic evangelist. 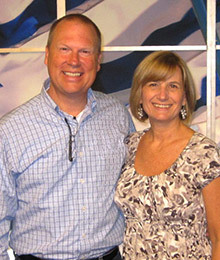 Ray and Sharon Sanders are the founders and directors of a ministry in Jerusalem called Christian Friends of Israel. Since they founded the ministry in 1985, they have worked faithfully to show the love of Jesus to the Israeli people. CFI represents Christians worldwide who love Israel, and desire to express friendship and a united stand with Israel based on the Bible. Their main objectives are to take the love of Jesus back to the people who revealed it in the first place. They do this through a great variety of outreach projects in Israel. They also teach the Church about its Hebrew heritage and biblical responsibility to the Jewish people through monthly and quarterly literature and resources as well as conferences in Jerusalem and around the world. They provide help to new immigrants, the poverty stricken, survivors of the Holocaust, Israeli soldiers, and victims of terrorism. FIRM is a global fellowship of biblically-grounded believers committed to cultivating Messiah-centered relationships that bless the inhabitants of Israel — Jews, Arabs, and others — and the Jewish community around the world. The organization is based in Jerusalem, Israel. It exists to fulfill three main goals: 1) INSPIRE people, especially leaders, to bless Israel; CONNECT individuals and ministries for greater cooperation and synergy; and EQUIP ministries and individuals for greater effectiveness in blessing Israel. 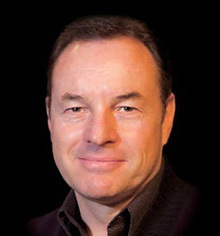 The founder and president of FIRM is Wayne Hilsden, the former pastor of King of Kings Messianic congregation located in heart of Jerusalem. Dan and Meg Price are missionaries to the Middle East who conduct their activities under the sponsorship of Team Expansion Ministries. Both of them are Arabic speakers who have devoted their lives to sharing the Gospel with Muslims in the Middle East. Their work, of course is highly dangerous, and not much can be said about the details of it. Lamb & Lion Ministries has always had an interest in reaching people in other countries. During the 1980s two missions trips were made to South Africa, and the message of the Lord’s soon return was preached all over the country. Also in the 1980’s the Ministry collected and distributed thousands of Bibles, both new and used. Another aspect of foreign outreach in the 1980s was short wave radio. A special version of the Ministry’s radio program, “Christ in Prophecy,” was broadcast throughout Europe, Russia, and Africa. It wasn’t until 1990 that foreign mission work became a major aspect of the Ministry’s outreach. Two things happened that year that made it very clear the Lord wanted the Ministry to put more emphasis on missions. The first event was the opening of the door in Russia for the Jews to return to Israel. In the summer of 1990 Dr. Reagan visited Israel and witnessed the refugees arriving by the thousands at Ben Gurion Airport in Tel Aviv. At that time they were arriving at the rate of 2,000 per day, and they were allowed to bring only two suitcases each. They could not bring money or jewelry. In short, they were arriving in Israel penniless. Dr. Reagan was deeply moved by what he saw. When he returned to the States, he told the staff of the Ministry that he felt like the Lord was leading him to try to raise funds to help provide relief to the refugees. The appeal was made over the Ministry’s radio program. God anointed it, and the money began to pour in. Before the year was concluded, the Ministry had raised almost $100,000 for the Jewish refugees! The second crucial event of 1990 was a telephone call from a man of God in Toronto, Canada. His name was George Bajenski. He was a native of Poland, and he had a ministry in Toronto that was designed to raise funds to help the churches of Poland. While traveling across the United States visiting churches, he was given a set of tapes containing a series of sermons that Dr. Reagan had preached on prophecy in a recent meeting. He listened to the tapes as he drove home, and he decided to call the ministry and ask Dr. Reagan to come to Poland to preach the message of the soon coming of Jesus. The result of these two events is that Lamb & Lion Ministry is heavily committed to foreign missions today. Since 1995 the ministry used almost 15% of its total income for outreach to people in foreign countries. This outreach has taken many forms: relief to Jewish refugees in Israel, fund raising for an orphanage in Mexico, the publishing and distribution of the ministry’s books in foreign languages, financial assistance to missionaries, and the provision of prophetic conferences and seminars. In years past we provided more in cash donations and services to missions. All the ministries listed are ones that we send money to monthly. From time to time we take on a special missions fund-raising project, like supplying Bibles, constructing a church building, or purchasing a vehicle or sound equipment. You can designate gifts for any of the ministries listed above. If you desire to make a gift to missions for us to use as we see fit, you can designate your gift for “Missions Outreach.” Note: Please keep in mind that special gifts for missions are not counted toward the fulfillment of a Prophecy Partner pledge. We are closely associated with several other Bible prophecy ministries that we helped establish. We provide them with on-going financial assistance, and we cooperate with them on a regular basis to conduct Bible prophecy meetings, seminars and conferences. All these ministries are non-denominational in nature. 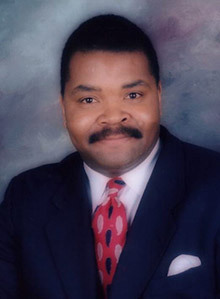 Don Perkins is the founder and director of According to Prophecy Ministries which is located in the San Diego, California area. 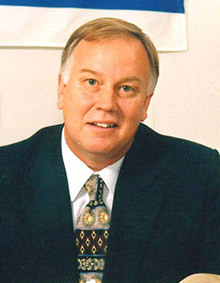 Don was a student and teacher of Bible prophecy for many years prior to 1998 when he decided to resign his administrative position with a large, world-wide ministry to commit himself full-time to the preaching of Bible prophecy. Don is the only Afro-American evangelist in the United States who is devoted full-time to the teaching and preaching of Bible prophecy. He is a very enthusiastic speaker with a gift for making complex biblical issues very understandable. 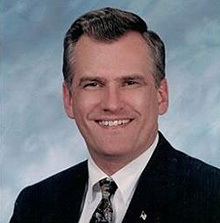 Don was born and raised in Louisiana and worked in the Baton Rouge area for a large television ministry before moving to San Diego. 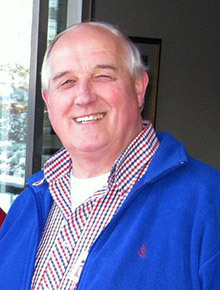 He and his wife, Marie, are the parents of two daughters. Don has been a pioneer in the application of media to the teaching of Bible prophecy. 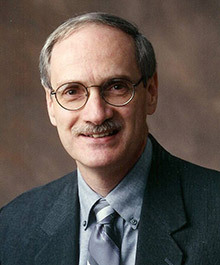 He has a very extensive website, and he specializes in the development of very sophisticated PowerPoint® presentations. 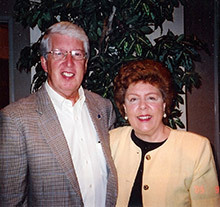 Lion of Judah Ministries in Franklin, Tennessee was founded by Gary Fisher. Gary is an exceptionally gifted teacher of Bible prophecy. He often ministers with Dr. Reagan in prophecy conferences, and he has accompanied them and assisted them on foreign mission trips. Gary publishes a monthly prophetic newsletter that is free of charge. Gary was a technician with the Tandy Corporation for many years before he decided to enter the full time ministry in 1994. Before entering the ministry, he had established himself as one of the foremost teachers of Bible prophecy in the Nashville area, regularly teaching a very large class at one of the city’s biggest churches. Gary resides in Franklin, Tennessee. He and his wife, Pam, have one daughter. This Bible prophecy ministry was founded by Al Gist in 2000, and he serves as its director and evangelist. Al began his career as a engineer in the oil industry, but in 1985 he stepped out in faith and began serving as a pastor. In the following years he pastored several churches in Southern Louisiana before deciding to establish Maranatha Ministries. Al publishes a monthly newsletter containing commentary on current events from a biblical perspective. Al has a zeal for the lost, and he is an expert in using Bible prophecy to draw people to the Cross of Jesus. He is a very powerful preacher who is in constant demand. Al has a heart for Israel and the Jewish people, and he takes pilgrimage groups to the Holy Land annually. Al and his wife, Sandy, live near DeRidder, Louisiana. They are the parents of two daughters and a son. 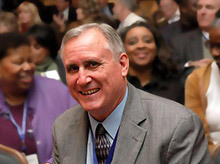 Dennis Pollock founded Spirit of Grace Ministries in March of 2005 after serving for 12 years as an Associate Evangelist for Lamb & Lion Ministries. The ministry is devoted to Bible teaching and Gospel evangelism with the purpose of stimulating personal spiritual renewal and corporate spiritual awakening. Using his home church as a base, Dennis holds teaching conferences and evangelistic crusades across the United States and around the world. Bill Salus is the author of Israelestine: The Ancient Blueprints of the Future Middle East. His timely book featuring the coming Arab-Israeli War of Psalm 83 became the premier work on the subject, and earned him respect among many of today’s top eschatologists. 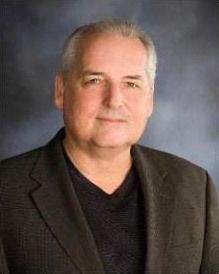 In addition to being an author, researcher, and lecturer, Bill is also the radio host of the popular Prophecy Update Radio Program, and is frequently interviewed on numerous notable radio programs and television shows. 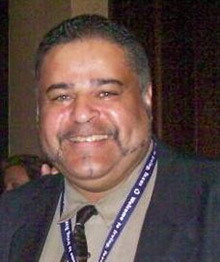 August Rosado is the founder of Today in Bible Prophecy Ministries based in Rhode Island. He travels the country as he preaches at churches on the soon return of Jesus the Messiah. He hosts tours of Israel and is available for leading tours and speaking at churches. Lamb & Lion Ministries has received the highest reward status for our financial integrity!